AV Geeks is one of the leading companies that specializes in projector setup. 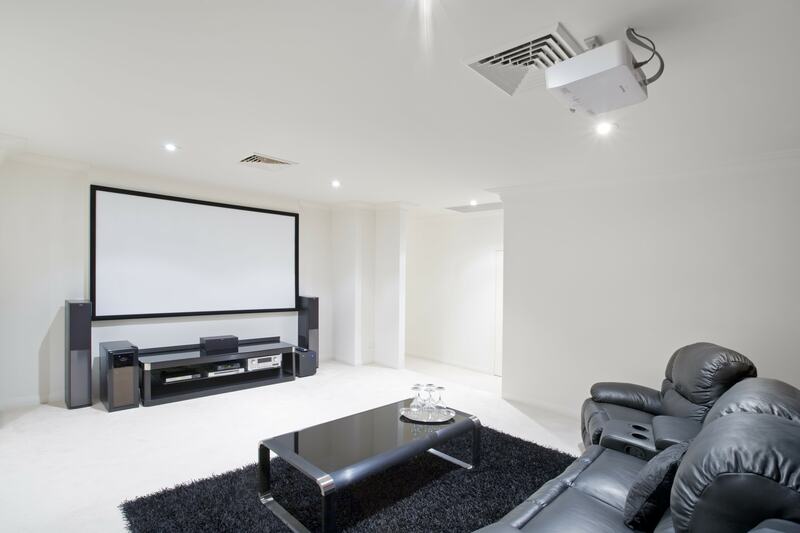 Home theatre projectors can put massive images in your office compared to any big screen TV. Our technicians are equipped with the knowledge and skills on how to get your images in focus and fiddle with a few other settings. We handle all opportunities with commitment to acquire a full outlook of issues and challenges in this particular industry. In doing so, AV GEEKS is self-assured of recommending the most effective solution to clients within the available budget and go beyond customer expectations. Our Company has the competence to conduct all kinds of projector setups. Our installation personnel have several years of experience to handle audio visual, multi-media and conference lighting fixtures. We are therefore able to offer a broad range of services for venue incorporation of different types and dimensions. At the same time, we make use of reputable brands and product lines for complete and personalized installation. Projector System Design – We use recommended specifications and software in the industry. Our technicians will finish the layout according to the type of projector you want to be installed. At AV Geeks, our primary objective is to guarantee the best performance for every installation project. Projector Incorporations – Our team arrives on site at the arranged time and date for installation. We make sure the job is completed as required and deliver organized and tidy installation making sure that all cables are cut and fixed perfectly for best results. Safety is a priority for our installers so accidents are less likely to occur. Corporate Projector Solutions – We understand the need for projectors in the corporate scene such as giving PowerPoint presentations. The corporate boardroom, meeting venue and training facility offers different situations. Elements of technology, convenience of users and comfort of audience all have to be considered in the setup of projectors. We evaluate each stage of the installation to ensure 100 percent pleasant user experience together with best practices for quality and customer service. As professional projector setup installers, we discuss everything with the client about their preferences, limitations and requirements prior to installation. Our technicians will visit your home, office or site to check out the entire area. This will give them a chance to secure all specifics related to formulation of the layout and plan. Both the client and provider must agree in writing so there will be mutual agreement about the work which will be signed right before work begins. Our installers will perform their work when nobody is around to avoid delays. This is vital because mounting equipment and running cables call for unrestricted movement of our installers. There may be clutter so we advise client employees to vacate the place. We try to avoid disruption and accurately install your projector. When we are done setting up, we will test all installations so everything is functional before our technicians leave the site. We encourage questions from clients and give demonstrations to ensure that our clients are satisfied with our services.